Almost 790,000 voters in Scotland have signed a declaration backing independence in September’s referendum, as the yes and no campaigns marked 100 days to go before the vote. Blair Jenkins, the chief executive of the official pro-independence Yes Scotland campaign, said he was confident it would hit its goal of 1m signatures – a target first set by Alex Salmond, the Scottish first minister, more than two years ago – before referendum day. He said reaching 789,191 signatures – 20% of the Scottish electorate – just as the referendum groups geared up for the “sharp edge” of the campaign was unprecedented in Scotland’s politics. He said the 1m goal was “an important target for us because it demonstrates the reach and the depth and strength of the campaign, and how many people we’ve got working for us and how many people have bought into the campaign, and we know we need nearly 2 million people to vote yes”. As the rival groups launched their full campaigns, Alistair Darling, the chairman of the official pro-UK campaign Better Together, told a 600-strong rally at Community central hall in Maryhill, Glasgow, that the yes campaign was running out of arguments and running out of time. 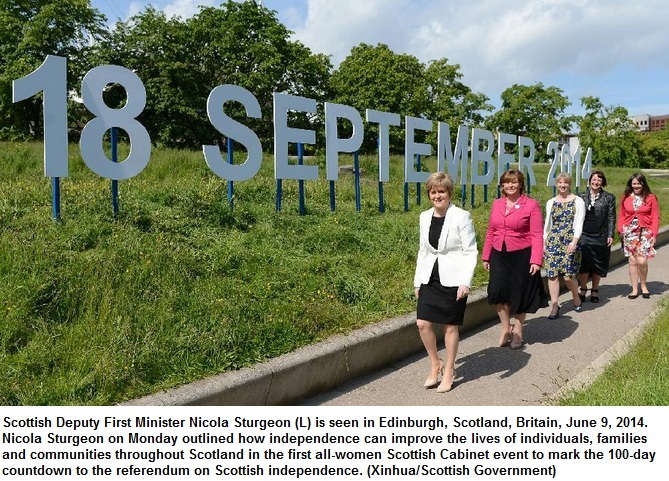 “The choice on 18 September will not be between Scotland and Britain. 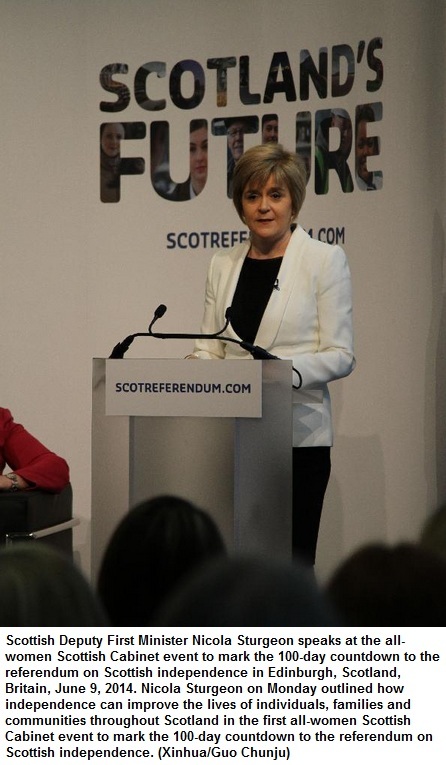 It will be a choice between two competing Scottish visions of Scotland’s future,” he said. Darling cited reports in the Herald and the Times that Labour, the Tories and Liberal Democrats are close to agreeing a joint statement committing them to give the Scottish parliament more significant tax and policymaking powers if there is a no vote in September. Described by one UK party source as a “renewal of vows”, suggestions that there would be a joint statement before the referendum had previously been ruled out by party leaders. The statement will not commit the three parties to a specific set of powers in advance of next year’s UK general election, where they will fight for votes with their different offers. “Now – with 100 days to go – the terms of trade have changed. And with it the ground has shifted under, and against, our nationalist opponents. For it is now clear that a no vote will bring more powers to Scotland within the UK,” Darling told about 600 people at the launch event, the first of four events he will attend on Monday in Glasgow, Edinburgh and Stornoway in the Western Isles. Although some polls suggest a 60% vote in favour of rejecting independence, Jenkins said the latest polling and Yes Scotland’s canvassing had shown the tide was turning in favour of independence. About 70% of undecided voters were switching to support independence, he said. But he added that the yes campaign had far greater energy and momentum behind it, and far more active support than its opponents. “We’re talking to more people than anyone else. We’re knocking doors far more,” he said. “I have no evidence from anywhere in Scotland of people moving from yes to no. On Tuesday, Scottish Labour MP and former secretary of state for Scotland Jim Murphy will travel from Barrhead to Barra as he kicks off his “100 Towns in 100 Days” tour, holding street-corner and town-hall meetings to hear from undecided voters. The former prime minister Gordon Brown, Liberal Democrat peer Lady Williams, former Lib Dem leader Charles Kennedy, and former leader of the Scottish Conservatives Annabel Goldie will also be speaking at events throughout the week.